Deemed America’s Farm to Fork capital, our region is home to abundant local farmland, food production, and a vibrant local culinary scene. We’re proud sponsors of the 2014 Farm to Fork week (Sept. 20–29), a celebration of our rich agricultural heritage and community, and all they have to offer. The Farm to Fork Festival takes place on Saturday, Sept. 27th 11 a.m. to 6 p.m. at Sacramento’s Capital Mall, and features vendors, food, entertainment, activities and music. 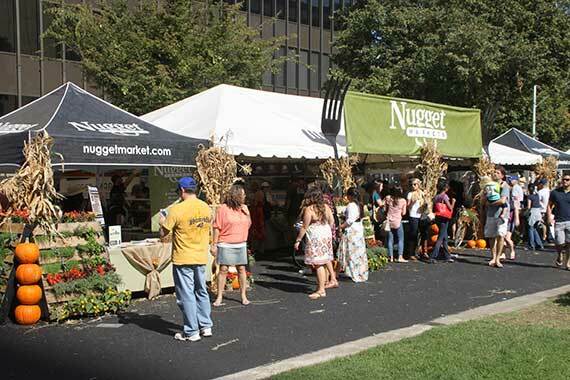 Stop by the Nugget Markets tent for samples while enjoying this free-family friendly day that honors our vital farm to fork heritage. 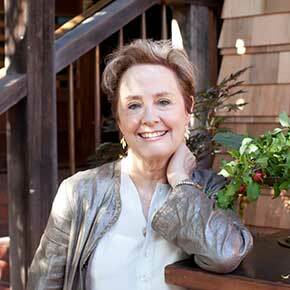 From her ground-breaking Berkeley, CA restaurant Chez Panisse to her tireless and passionate devotion to the beauty and power of local food and social issues, Alice Waters is one of the world’s most celebrated and influential food pioneers. At this month’s Sacramento Speaker Series presentation, Alice Waters shared her life, her commitment to social change, and her love of food, and we were proud to sponsor this exciting speaking engagement. The Sacramento Speakers Series provides an open forum lecture series for the exchange of ideas, knowledge and perspectives while enriching the Sacramento community. The wheatgrass is always greener in Newcastle, CA. Our wheatgrass hails from the Natural Trading Company farm, a beautiful 40 acres in Newcastle, CA where they grow a diverse selection of vegetables and fruit. 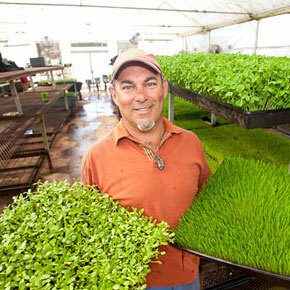 These guys have been growing wheatgrass for more than 15 years and you can see and taste the pride they put into their crop. These dangerously delicious almonds come to us from fourth-generation almond growers in Modesto, CA. Kent Miller and family tend to their orchards carefully and responsibly. 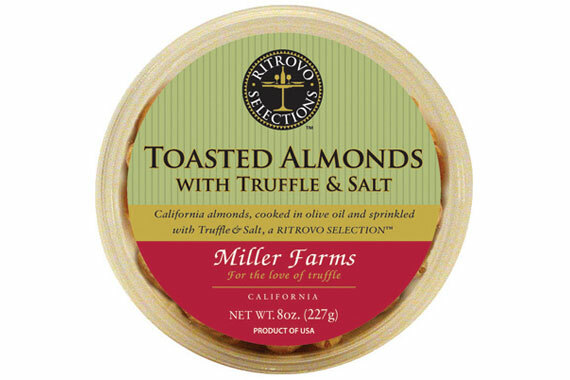 Sustainably grown and dusted with truffles and salt these almonds are absolutely irresistible. But don’t take our word for it; visit our booth at the Farm to Fork Festival this Saturday and try some for yourself! Track 7 Brewery in Curtis Park, Sacramento is really all about the beer. And not just one style of beer: They say their approach “is in the vein of the firmly-hopped West Coast tradition, but without fidelity to a singular style”. In fact, when they opened they realized they did not even have one of the most popular styles, an IPA. 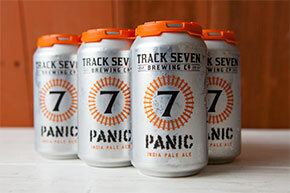 So after many requests, they brewed the Panic IPA, now a year-round release, and one we are proud to sell at our stores. Sip on Panic and you can expect big hops a smooth body, subtle citrus flavors and not-so-subtle stone fruit with a slightly dank nose. Cheers to local beers! Squarebar began in the San Francisco kitchen of husband and wife Sarah & Andrew Gordon. Sarah, an asthma sufferer, discovered that eliminating inflammatory foods like gluten, dairy, soy, and processed sugars freed her from medication. 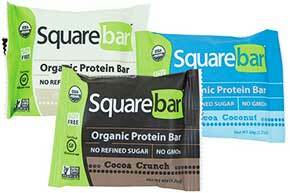 Today their bars are free from such ingredients, and instead are filled with nutrient-dense organic and non-GMO foods. Sarah and Andrew work directly with farmers to ensure an ethical path from farm to bar. And this is a bar you can feel extra good about, a percentage of all sales goes to Not For Sale, a San Francisco based non-profit organization fighting modern-day slavery, human trafficking and exploitation around the world. It’s finally fall and that means it’s time for some gorgeous gourds. 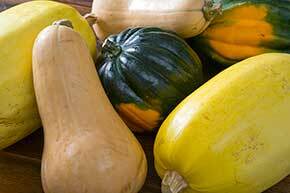 West Sacramento-grown butternut, acorn and spaghetti squash are on sale this week. These beauties are grown by fifth-generation farmer David Vierra who says his passion for farming “is in my blood.” David’s grandfather, Ellard Vierra, helped settle the Sacramento River Delta in the 1920s, eventually buying 80 acres in 1941. An eighth grade field trip to Apple Hill inspired David to grow pumpkins, and he started planning what is now Dave’s Pumpkin Patch. David still cultivates his grandfather’s garden along with an additional 150 acres of leased land, growing watermelons, pumpkins, heirloom and slicing tomatoes, hard winter squash, sweet corn and broccoli. Taste flavor, freshness, nutrition and value in every bite of Dibrova gourmet sausage. The Dibrova journey started in 1994 in the San Francisco Bay Area where they discovered that fresh, simple, high-quality ingredients smoked over hardwood chips can make some pretty tasty sausage. 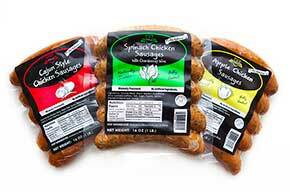 Dibrova sausages are fully cooked and quite convenient for a quick dinner option. San Franola freshly roasts their natural ingredients with a proprietary technique that results in a granola with less sugar than other products on the market. With 10 grams of protein, high fiber, big clusters, and an amazing robust taste, San Franola isn’t just for breakfast. Enjoy guiltless snacking all day long! 12 oz. 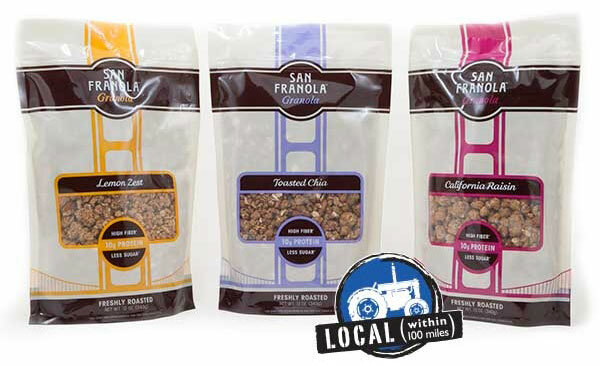 packages of San Franola Granola are only $2.99/ea. this Saturday only. Start your wine-ing! Join us at the following Nugget Markets tasting events from 5 p.m.—7 p.m. Flights are just $5 and attendees must be at least 21 years of age. Run for Courage is committed to raising awareness and funds to combat the trafficking of young, vulnerable and valuable human beings. The "Run for Courage" 5K and 10K raises funds to educate the community, help survivors, and to make a difference in the battle against human trafficking. We’re proud to sponsor this year’s Run for Courage in Folsom (and stop by our booth for race snacks!). For more information and to register, please visit runforcourage.org. The 10th annual Mustard Seed Spin, where Kids Ride for Kids, promotes total wellness for youth through safe cycling while creating opportunities for kids to help other kids. Every cent of the Spin’s registration fees go directly to Sacramento’s Loaves and Fishes Mustard Seed School for homeless children. Ride takes place at the American River Parkway, William B. Pond Recreation Are. mustardseedspin.org. Prices valid September 24-30, 2014.